Dr Grinter grew up in upstate New York, attending Dental School at the University at Buffalo School of Dental Medicine from 2000-2004. Following dental school he continued his training at Advocate Illinois Masonic Medical Center in Chicago where he focused on: special patient care, hospital based dental care, treatment of medically complex patients, and sedation dentistry. Dr Grinter is the past Dental Director at Milestone Dental Clinic in Rockford, IL. Milestone Dental Clinic is one of the country's leading non-profit dental clinics that exclusively treats patients with developmental disabilities. Dr Grinter obtained staff privileges at Swedish American Hospital in Rockford where he was able to treat the needs of patients who require dental work while under general anesthesia. In 2005 Dr. Grinter began providing care for patients on the Ronald McDonald Care Mobile reaching out to some of the more rural areas in Northwest Illinois. Dr. Grinter continues to provide care regularly on the Care Mobile. In 2009 Dr Grinter was hired as Director of Special Patient Care at Advocate Illinois Masonic Medical Center. Dr Grinter is an attending dentist providing training for GRP residents each year. He helps train them to treat patients with special needs, dental care in the operating room, and provide them with a learning experience like he received when we was a resident in the program. Dr Grinter was Lead Oral Health Advocate for DentaQuest from 2008-2015 and served on the Illinois Peer Review Committee. Dr Grinter worked closely with DentaQuest's Regional Oral Health Advocate Program that helped find access to care solutions by linking dental providers to patients that need the care the most and by working with local agencies to improve their existing dental programs. In 2015 Dr. Grinter joined Liberty Dental Plan as the Illinois Dental Director. Dr Grinter is the Immediate Past President of Special Care Dentistry Association. Dr Grinter works with dentists from all over the world that specialize in the treatment of patients with special needs. In 2012, Dr Grinter was appointed as a consultant to the American Dental Association's Council on Access, Prevention and Interprofessional Relations (CAPIR), the Joint Commission’s Behavioral Health Care Program Professional and Technical Advisory Committee (PTAC). Dr Grinter is currently the Chair of the Illinois State Dental Society Access to Care Committee and is currently on the Chicago Dental Society Government Affairs and Access to Care Committee. 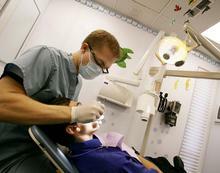 Dr Grinter was the Chair of the Illinois State Dental Society Medicaid Reform Committee in 2012. In 2011 Dr Grinter began providing dental care at the Stephenson County Dental Clinic and continues to this day. In 2012 Dr. Grinter opened Park City Dental in Rockford, IL as an additional dental home along with the Stephenson County Health Department clinic for all the students he sees in the school based oral health programs. 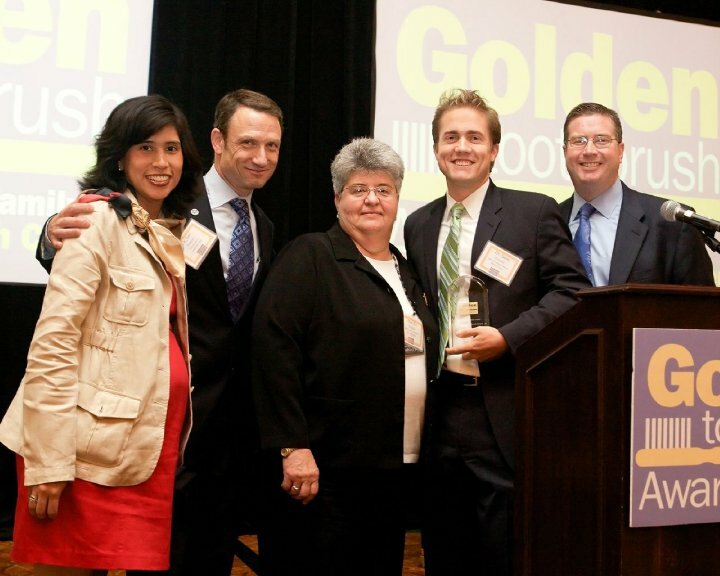 In 2010 Dr Grinter won Erie Family Health's Golden Toothbrush Award. Watch video here. 2015 continues to be an exciting year for Dr Grinter and Onsite Dental.